Battery systems must be designed to keep cells running within optimized temperatures to maximize performance, efficiency and longevity, while ensuring safety. Thermal interface materials (TIMs) are utilized within the battery to effectively conduct and dissipate heat from a heat generating source to a cooling plate, heat sink, or other cooling aid. Many factors must be considered when determining which thermal interface materials are best suited for the application. Thermal conductivity - How much thermal conductivity (W/mK) will be required to conduct heat to efficiently maintain optimal operating temperature of the battery cells while running and charging? Material thickness - What are the dimensions of the interface gaps where the TIM will be placed? Contact is key to minimizing thermal impedance within the gap. Material durability - Can the thermally conductive material chosen withstand the extreme temperatures and physical exertion it will experience within the battery? Will it perform for the life of the battery? Dielectric strength - Does the thermally conductive material exhibit the dielectric strength required to meet rigorous electrical barrier and insulation requirements? Flammability ratings - Does the material exhibit appropriate flame resistance and flammability ratings to meet industry safety requirements? Chemical resistance - Is the material resistant to certain chemicals that it could potentially be exposed to during the operation of the battery? Vibration resistance - The component will be exposed to a level of noise and vibration due to the vehicle operation. Can the material withstand a certain degree of physical stress? Weight - How much will the component weigh? The overall weight of the battery can impact the efficiency and range of the battery. Manufacturability - How will the thermal interface materials be manufactured and applied into the final battery assembly? Cost - How much will the material and final component cost? The material selection and testing process can be chaotic and overwhelming, therefore gaining a clear understanding of these various considerations within the thermal application can simplify the material selection process. We can help! Partnering with an expert in thermal management materials and an industry leading converter can simplify this process. 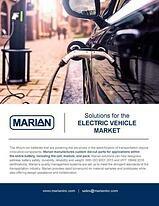 Marian sales engineers collaborate with battery design engineers and raw material suppliers to fully understand the many nuances and details of the thermal interface application. What do design engineers experience when working with Marian? Material Selection and Evaluation Support - Marian maintains close partnerships with the world's leading thermal interface material manufacturers (3M, Parker Chomerics, Polymer Science). Customers can review a wide variety of materials, while keeping design and development on schedule by receiving material samples quickly. 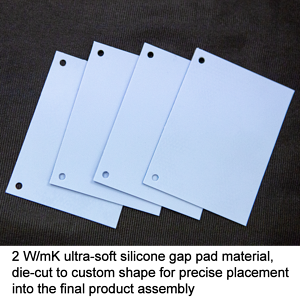 Rapid Prototypes - Once materials are selected, Marian offers a number of rapid prototyping capabilities including laser, water-jet, and blade cutting plotters. Prototypes can be created quickly, without tooling, and delivered to meet tight development timelines. High-quality Custom Manufactured Components - Marian utilizes many advanced manufacturing techniques to supply precision custom die-cut thermal gap pads, heat spreaders, phase change, and graphite components that meet the requirements of the application. Global Presence and Support - Marian understands that in today's global landscape, design and manufacturing are often executed in different locations. Marian's 10 global locations are strategically deployed across the world, allowing for excellent service and support, regardless of the location. 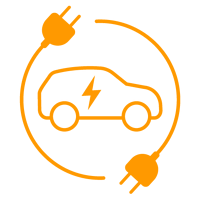 Visit our website to learn more about the solutions we provide to battery and many other markets. Marian manufactures custom die-cut parts for applications within the entire battery, including the cell, module and pack. This free E-Book describes the general characteristics of the major families of TIMS and examines the trade-offs involved in the selection process.